BANFF, Alta. -- The Alberta resort town of Banff has banned smoking or vaping cannabis in public places once it becomes legal. Council has decided to limit the use of marijuana to private property in the small mountain town that attracts a large number of international tourists and has a reputation as a place to get a "Rocky Mountain high." "I don't think we're naive," Mayor Karen Sorensen said Tuesday. "Cannabis use within the town of Banff certainly happens and it happens fairly regularly, as it probably does in most municipalities. "What we're suggesting is we, at this point, don't see a need for cannabis use in public places that potentially will impact residents and visitors." Town officials said in their report to council that the decision could have a cost related to enforcement. But they noted that an outright ban will be easier to manage and enforce than allowing cannabis in places such as parks, picnic areas and pathways -- as permitted under provincial legislation. Cannabis tends to align with either alcohol in terms of cognitive functioning or tobacco in terms of impact to second-hand smoke exposure, said the report. 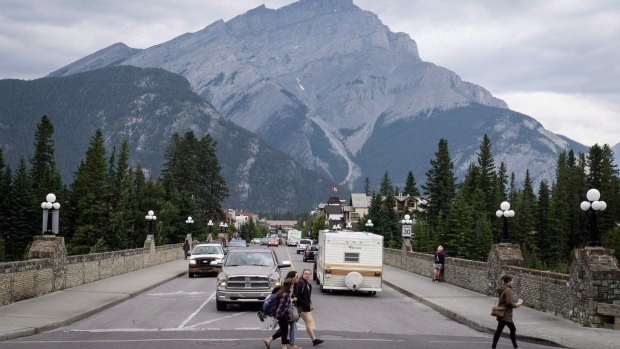 Sorensen said Banff has taken a cautious public health approach with its local bylaw. "Because impairment of cognitive functioning is an outcome of cannabis use, that seems to be a big reason for our rationale for keeping it out of the public realm," she said. "There seems to be this key distinction in aligning it to alcohol rather than tobacco." Council said it will revisit the rules a year or two after cannabis becomes legal. "This approach is giving us time," she said. "As we start moving into the commercialization of edibles and we start to see things like cannabis lounges or cafes being permitted, it gives us time to see how all of this legislation is going to roll out." Federal legislation to legalize recreational cannabis is expected to be passed later this year.